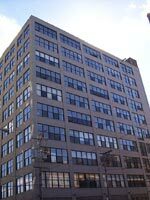 Almost any Center City condominium, with a smattering of exposed brick, attempts to pass itself off as a loft. Often sought after as an expression of one’s own style, loft living has taken off in downtown Philadelphia, as well as almost all urban pockets of the USA. Lofts vary in look, layout, and scale, and some loft condos impress mightily, while others are cheap imitations of highly unique, urban treasures hidden in pockets of urban areas, usually amongst the old warehouse set. The best example of a hard loft in Center City might be The Old Shoe Factory at 314 N. 12th St. From an unadorned cavernous lobby area, up to the eighth floor via a converted over-sized warehouse lift, the units are characterized by hugely over-sized windows, exposed brick, minimalist kitchens, and bedrooms that are open to the living area. Fantastic city views, high ceilings, and a few units with polished cement floors. Minimalistic at best, these condos truly tag at the definition of a live/work open space where room size is valued over room count. A fair example of a soft loft might be BridgeView Place at 315 New St. in Old City. With the prerequisite high ceilings, and touches of exposed brick, these condos have been compartmentalized to include bedrooms, walled off kitchen areas, and walk-in closets. Some units at BridgeView do indeed have a loft bed perched above the living space, but those units are few and far between. The conversion to condominiums in the mid 1980’s at 315 New St. is a good example of a reasonable living space, with a bit of “lofty” flair. 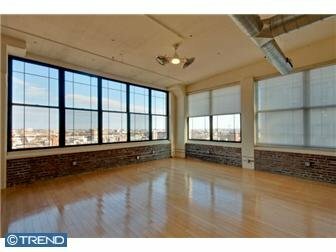 A Center City Philadelphia loft can come in a variety of sizes, styles, and locations throughout downtown Philadelphia. Some more true to their “lofty roots” than others, loft living of all proportions is gaining popularity amongst the empty-nester set moving into town from the suburbs and elsewhere. 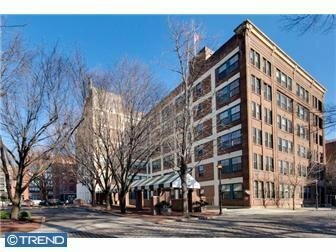 Many of the available loft condos today didn’t exist in the early 1990’s when the very first empty nester/baby boomer began trickling into Center City. And judging from the success of many loft and loft-like sales throughout the area, buyers are finding individuality can be expressed through the (loft) style in which they choose to live. Whether you are looking for the hard edge style of living, or just something out of the ordinary, loft living has clearly made its way into the realm of possibility for many urban condominium buyers. Like snowflakes, no two true lofts are identical. From room sizes to layouts, the designs generally vary from unit to unit, giving the urban condo buyer a plethora of options in which to live.